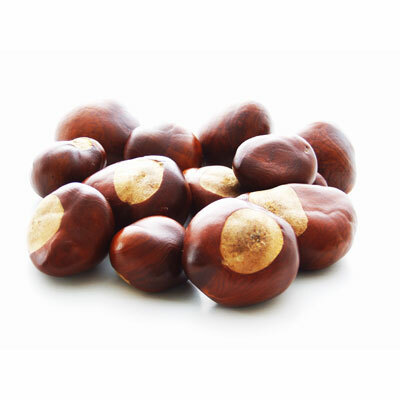 In a food processor puree chestnuts and water (can use a blender). Place chestnut puree and red wine vinegar in a saucepan – reduce by half. Add heavy cream and maple syrup – reduce by half. Finish with Apple Jack Brandy, salt and pepper.